Panagbenga Festival 2014 | Complete Schedule of Activities - Balita Boss! 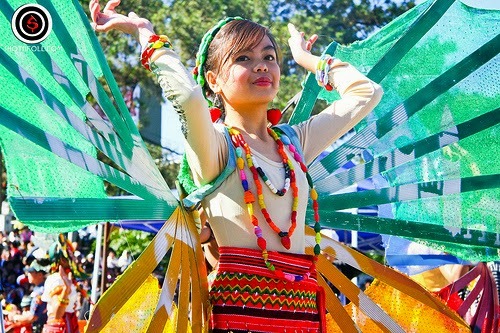 The PANAGBENGA Festival 2014 in Baguio City also known as Baguio Flower Festival is the biggest festival in the Summer Capital of the Philippines. It is a month-long fest held every February. The theme for Panagbenga 2014 is “Inspiring the Community for a Greener Tomorrow.” Panagbenga 2014 will start on February 1, 2014 and ends on March 3, 2014. The first flower festival was held in 1996 to celebrate the city’s abundant harvest of flowers. In 1997, the festival was officially called “Panagbenga.” The word Panagbenga was originated froma Kankanaey term which means “Seasons of blooming.” This year’s festival is the 18th edition of the Panagbenga. The highlights of the festival are Grand Street Dancing Parade and Grand Float Parade; both are scheduled on the last weekend of the February. For 2014, it will be on February 22-23, 2014.